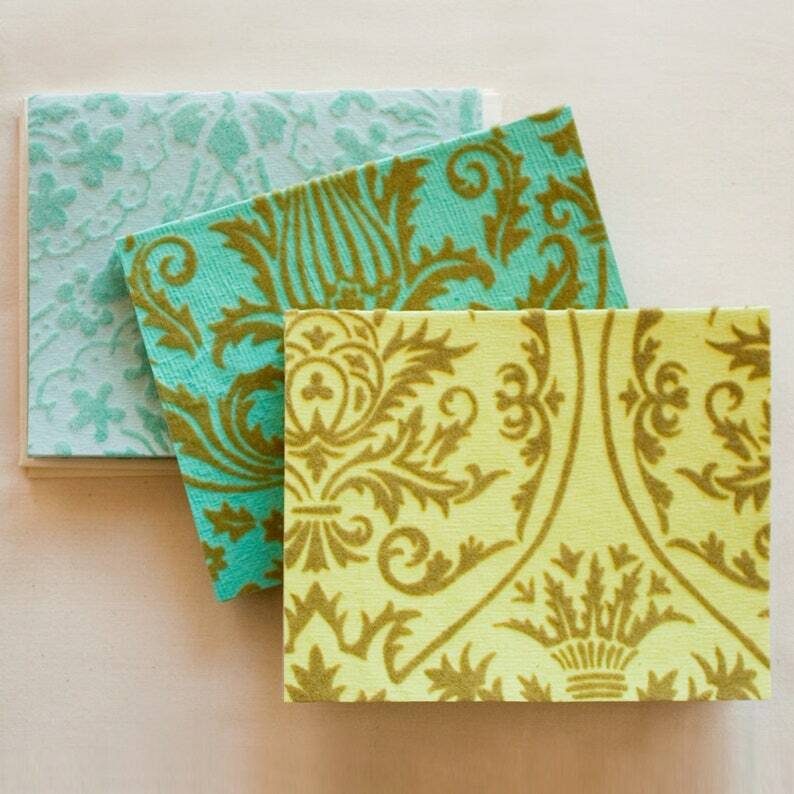 Elevate your correspondence with luxe note cards made from handcrafted papers. Fully patterned on both sides, with an inner blank layer to write on. These heirloom-quality notecards may be used again and again. Set of 6 cards (2 of each color), paired with 100% recycled envelopes with a deckle edged flap.